Offset Printing or Lithography can print images on a variety of surfaces such as cardboard, plastic, and paper. 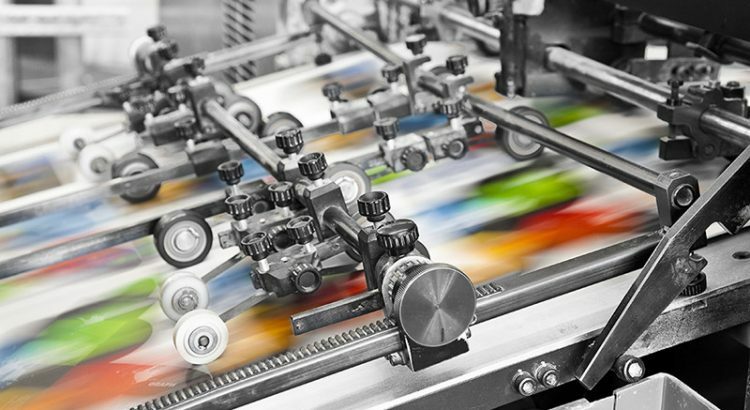 Offset printing is typically used to print mass amounts of products including newspapers, posters, books, and stationary. Offset printing is usually used for printing promotional materials such as brochures and posters. The offset printer consists of four sheetfed printing presses each specifically used for a certain color. Normally, the printed image is printed in steps of colors. The black color contained in the printer press located at the far end of the printer is printed first, then cyan, then magenta, and lastly yellow. The printed sheets of paper are kept in front of the printer usually under the monitor and press control. Rolls of paper are used in these printers to enable them to perform printing high volumes in industrial uses such as books, magazines, and newspapers; however Digital Printing is starting to replace offset due to the declination of physical printing. In the economy the use of digital printing is beginning to look better due to the declination of printing promotional products, and the increase in digital media. The two main technologies in digital printing are inkjet and xerography. Inkjet is simply the process of images being printed through ink drops being strategically propelled to create an image. Inkjet can print on multiple surfaces, and is mainly used for printing posters, signs, photo books, and books. Xerography is used in laser printers which is simply strategically sending a charge to a drum that attracts toner particles that are then transferred to the printing surface. These printers are usually used in offices and in homes, and are typically used to print books, documents, and promotional products such as brochures. Both offset and digital printers print images on the same types of products. However, an offset printer is more expensive and older. Digital printers make more economical sense due to the decreasing in physically printing products. Also, digital printers are smaller; and sometimes faster containing usually more color options than an offset printer.